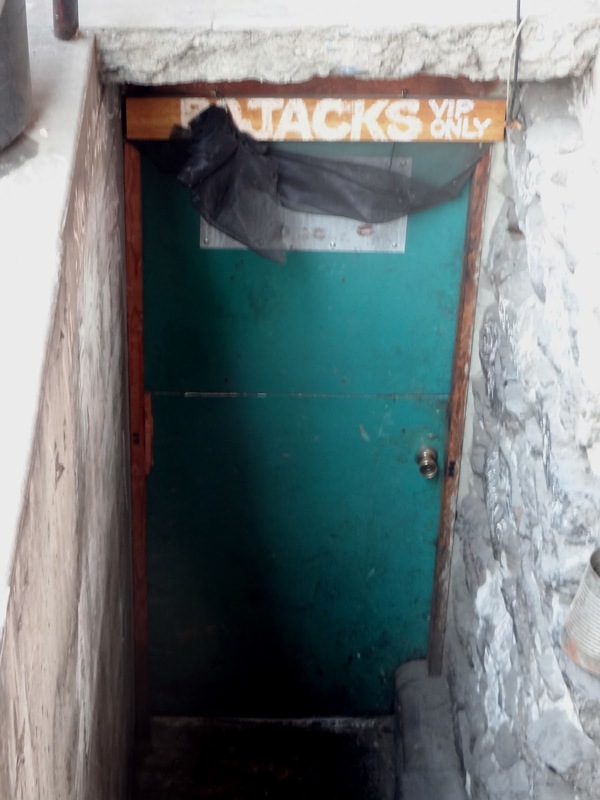 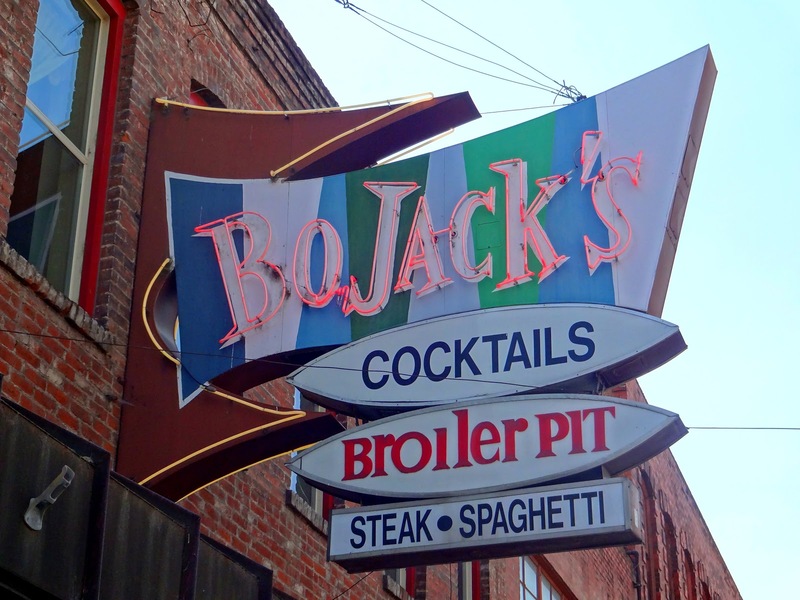 Named for original owners Bob and Jack, who for some reason decided to put a steakhouse restaurant in the basement of a rollicking dive bar upstairs, Bojack's is a local institution. 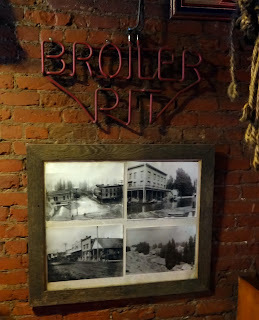 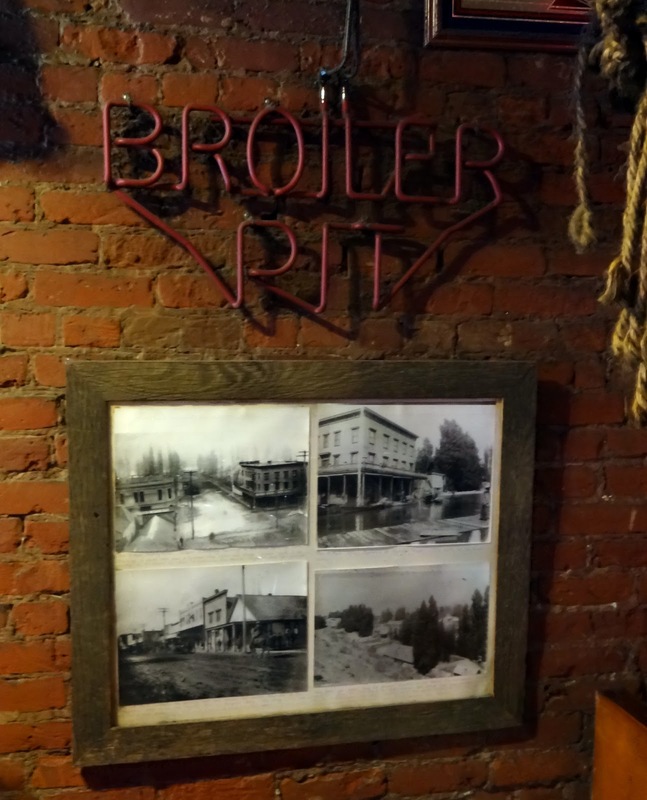 It was founded in 1951, purchased by Wally and Katie Eglund in 1969 (the restaurant that is, they bought the bar later), and run by the Eglund family ever since. 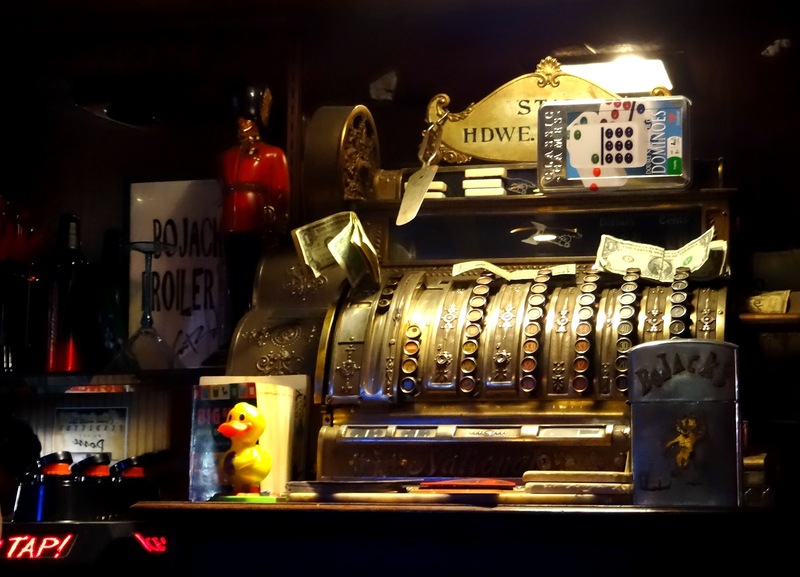 The bar upstairs is fun, if a little intimidating for some diners to traverse, and there are nifty signs on either side of the building. 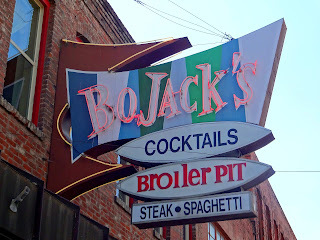 Locals recommend the Bite Sized Steak (tender deep fried pieces of steak).